From left to right: Mr. E.Th.J. Cornelese, Cpl. Johnny Davies, RTG, Thea Cornelese, Alf. “Titch” Mead, Willy Cornelese, Jimmy Smith, Mrs. J.P. Cornelese, Freddy Glasspool. 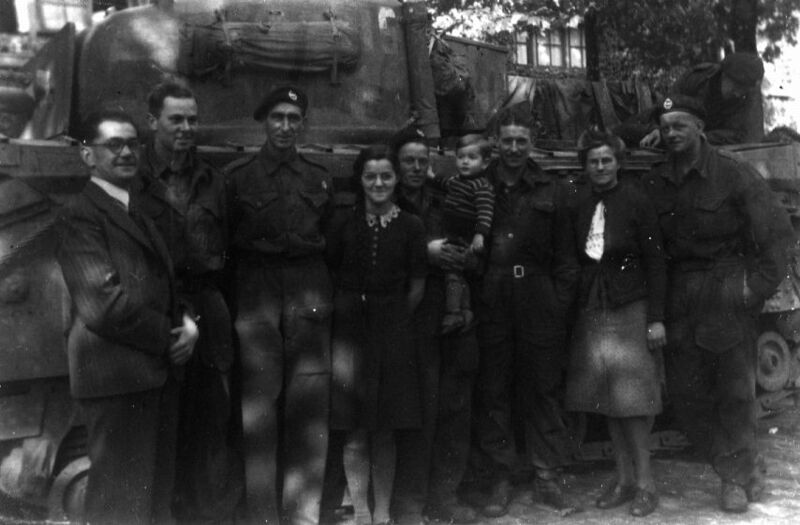 See diary entry 8.10.14 and letter 25.10.44 for first mentions of the Cornelese family. 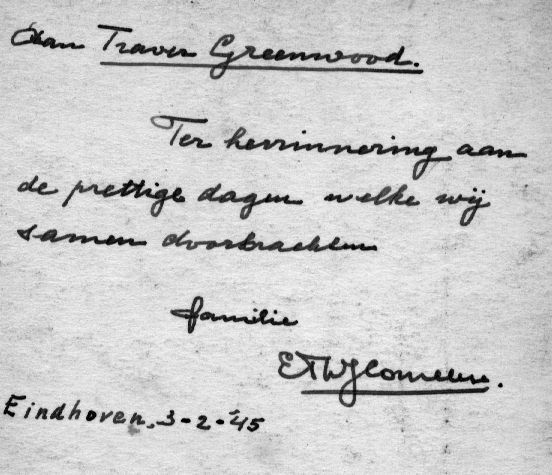 Four copies of the photograph are preserved with the letters: a small one with names on the reverse and three larger ones with greetings on the reverse, intended for Trevor, Alfred Mead, and Mrs. J. Smith.